A scandal involving the BoB’s South Africa operations, a cabal of businessmen of Indian origin, and South African President Jacob Zuma, has undermined the reputation of India’s second largest bank and resulted in an unprecedented penalty by the South African Reserve Bank. In June 2017, an anodyne footnote to the Bank of Baroda’s (BoB) quarterly results mentioned a fine levied by the South African Reserve Bank (SARB), headquartered in Pretoria. The sum — R11-million — was insignificant for an institution the size of BoB. No further details were given; the penalty passed unnoticed in India. But in South Africa, the SARB’s actions suggested BoB’s involvement in the “State Capture” scandal: an avalanche of allegations that President Jacob Zuma was under the sway of three brothers from Saharanpur, Uttar Pradesh — Ajay, Atul, and Rajesh Gupta, collectively known as “The Guptas”. As the scandal continues to unfold, BoB’s role as the Gupta family’s banker of choice for their most controversial deals, has attracted increasing attention from South African regulators, investigators and the press. A joint investigation of thousands of pages of court documents, bank records, SARB records, internal Gupta company correspondence, and interviews with bank officials, by Hindustan Times, South Africa’s amaBhungane Centre for Investigative Journalism, Finance Uncovered and the Daily Maverick’s Scorpio unit, reveals a laundry list of potential violations, and a seeming disregard for banking ethics and regulations by BoB executives. An example: As early as 2010, BoB financed the purchase of a luxurious house that was bought in the name of President Jacob Zuma’s fourth wife, but paid for by the Guptas through BoB accounts operated by secretive trusts. And as late as November 2016, an investigation into the Guptas’ controversial purchase of a coal mine by the South Africa’s Public Protector, a constitutional public ombudsman, found that “the conduct of the Bank of Baroda appears highly suspicious” in the bank’s role in underwriting the deal. BoB stood by the Guptas as four major South African banks shut their bank accounts in 2016 on the grounds that anti-money laundering laws made it too risky to do business with the family. While BoB executives say they began to “exit” their relationship with the Guptas in July 2016, the bank sent out account termination notices a full year later in July 2017. At the time of going to press, BoB was stuck with the accounts of at least 35 Gupta companies according to the most recent court disclosures. What follows is an inside account of how a culture of wilful blindness in BoB’s South Africa operations exposed India’s second largest bank to a damaging investigation in a foreign jurisdiction. 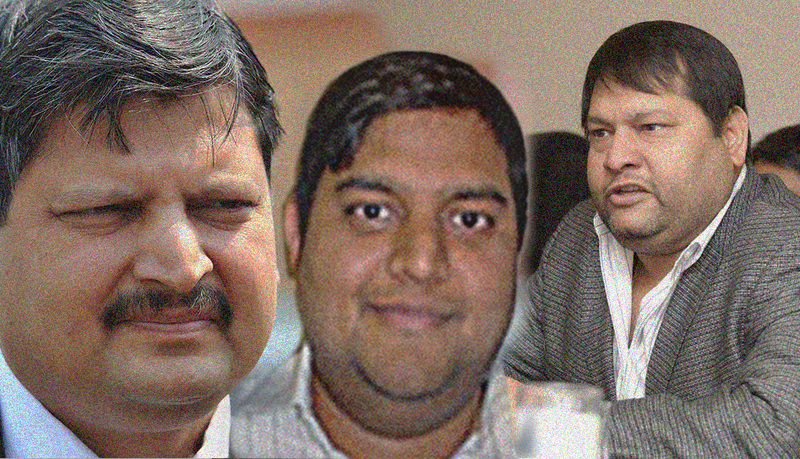 Bank executives sought personal favours from the Guptas and enjoyed their hospitality, emails show, while the family used BoB accounts to funnel millions through an international network of secretive companies and trusts. Personal favours aside, the systemic shortcomings identified by the SARB audit lead back to BoB’s compliance department in Mumbai, raising questions about the bank’s operations in India and across the world. South African investigators now are probing if the money in these accounts included kickbacks for prominent South African politicians for awarding dodgy government contracts to the Guptas. In October 2017, the Financial Times reported that American authorities had begun probing the Gupta family as some of these transactions were in US dollars, raising questions of how much BoB knew, and what action, if any, the bank took? Today, as the Indian government prepares to pump Rs 88,100 crore into the country’s ailing public sector banks, of which BoB will get Rs 5,307 crore, the bank’s actions in South Africa offer a sobering glimpse of how some of India’s biggest banks may be doing business. When Hindustan Times sent BoB a detailed questionnaire, the bank arranged two interviews with CEO PS Jayakumar, only to cancel both meetings without explanation at the last minute. BoB has not responded to repeated requests for comment on the events described below. Hindustan Times also wrote to the Gupta brothers, their family lawyer, and the South African High Commission in India, but did not receive a response. On June 29, 2010, Bank of Baroda signed off on a mortgage of R3.84-million for a residential property in Waterkloof Ridge, a leafy suburban neighbourhood with some of the most expensive real estate in Pretoria. The loan, mortgage documents reviewed by Hindustan Times reveal, was to be repaid in monthly instalments of R79 715. It was unusual for BoB to offer this home loan in South Africa, as the bank did not offer retail banking services and its primary products in the country were fixed deposits, trade credit and overdraft facilities. Stranger still was that the loan was granted to Sinqumo Trust, whose primary trustee was Bongekile Gloria Ngema Zuma, the fourth wife of Jacob Zuma, the President of South Africa. Sinqumo’s other trustee was Duduzane Zuma, President Zuma’s son from a previous marriage. “Sinqumo”, is the name of President Zuma’s son with Ngema Zuma. The documentation included a declaration by Ngema Zuma, under South Africa’s Financial Intelligence Centre Act of 2001, that the loan was to finance the purchase of the house, and the money used to repay the loan was her own. 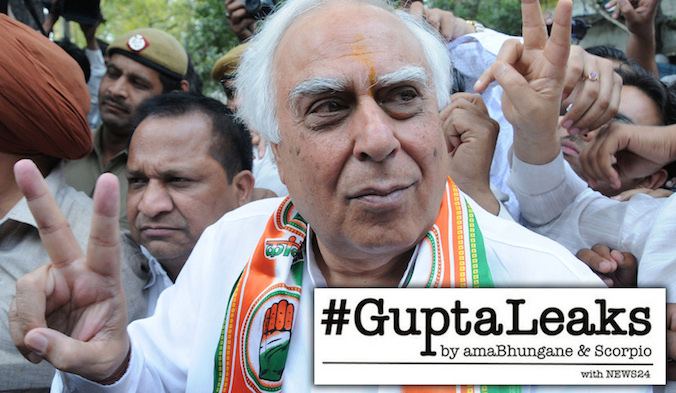 Yet transaction details and emails reviewed by Hindustan Times suggest that the loan was repaid by the Guptas by routing regular payments to Sinqumo’s BoB accounts via an entity called Mabengela Investments, a company controlled by Duduzane Zuma and Rajesh “Tony” Gupta. An email by Ugeshni Naidu, an accounts officer for the Guptas, shows how this worked: In a mail dated February 8 2012, Naidu lists a cascading array of transactions in which a large sum of money is moved between three Gupta fronts before R65 000 is transferred to Mabengela, and then from Mabengela to Sinqumo’s BoB current account, and from the current account to the BoB’s mortgage account. Hindustan Times found 17 such emails, including one in September 2013, in which a lump-sum of R535 000 was transferred from Mabengela to Sinqumo. These transactions correspond to what money laundering experts call ‘structuring’, where large sums are broken into smaller transactions to evade detection, ‘layering’, in which the money moves through multiple companies to remove links to its source, and ‘integration’, where layered funds are gathered in a seemingly innocuous investment – like buying a house. BoB internal documentation, viewed by Hindustan Times, lists Sinqumo as a Gupta affiliated entity, indicating that the bank knew the Guptas, the Zumas, and Sinqumo Trust were connected, and of the complications this posed, yet went ahead with the loan anyway. Indian, South African, and international banking laws require banks to identify Politically Exposed Persons (PEPs) like Ngeme Zuma — and flag suspicious transactions within 15 days. BoB labelled Sinqumo Trust as PEP only in 2015, five years after giving the loan. A former BoB official put it more bluntly: “Imagine a purchase of a house for the wife of a prominent Indian politician, involving Chinese businessmen and a loan from a Chinese state-owned bank,” the official said. 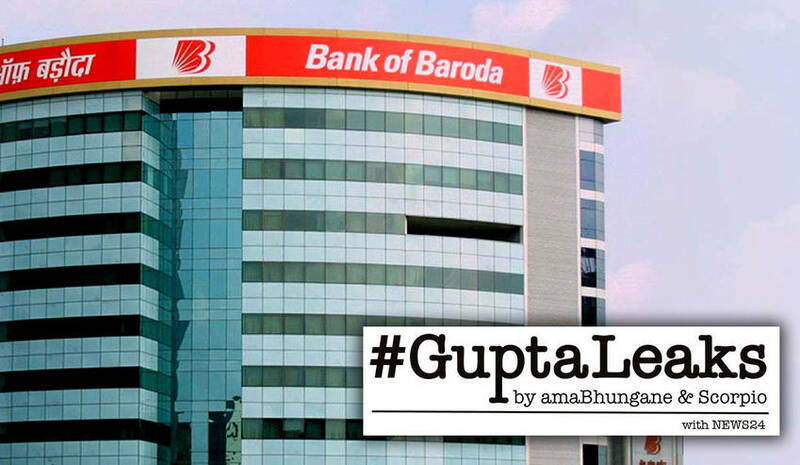 The purchase of Mrs Zuma’s house is not the only controversial Gupta deal underwritten by Bank of Baroda. The bank underwrote progressively riskier Gupta deals until it caught the attention of South African regulators. The bank opened shop in South Africa in 1997 in Durban, another diaspora hub, followed by Johannesburg in 2007. Ajay, Atul and Rajesh Gupta moved from Saharanpur, Uttar Pradesh, to South Africa in the mid 1990s, and opened their first South African BoB account in 2005, court documents show. 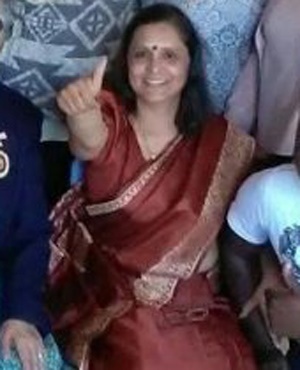 On January 30, 2013, Ashu Chawla, a key Gupta aide, sent an email to Jack Monedi, Chief Director of Permits at South Africa’s Department of Home Affairs, requesting him to expedite the renewal of the work permit of Ramesh Salian, a senior manager at the Johannesburg Branch, who oversaw the Gupta loan accounts. The trailing mails contained a long-running correspondence between Salian, from his official BoB email address, and Monedi’s department, regarding a waiver of certain technical requirements for Salian’s visa. Salian got the waiver on February 22, 2013, and a new work permit, signed by Monedi, soon after. Two years later, in July 2014, Salian sent another email from his official BoB email account to the Guptas — this time to get a study permit for his daughter to pursue a degree in South Africa. Salian wasn’t the only BoB official requesting Gupta favours. Tak wrote back a week later with a return ticket on Emirates in Archit’s name: Delhi to Johannesburg on May 10, 2014, with a return two months later on July 19, 2014. BoB’s chief executive for South Africa, Murari Lal Sharma’s name appears in a hotel bill for at Taj Palace Hotel in New Delhi, dated July 24, 2015, for two nights in Room 872 as a guest of Rajesh Gupta. Other guests on the same bill include Duduzane Zuma — President Zuma’s son, and co-owner of the house that BoB provided the mortgage for. Murari Lal Sharma, is now a General Manager at BoB’s corporate office in Mumbai, where he heads the asset recovery division. The Guptas gradually came to account for a disproportionate share of BoB’s South Africa business, to the point that it posed a risk to the bank. But in South Africa, it seems BoB did. In 2011-12, BoB offered a R16-million loan overdraft facility to Everest Global Metals, a company controlled by Piyoosh Goyal – an Indian businessman accused by the CBI of allegedly bribing a senior State Bank of India executive to enhance a 250-core loan facility in November 2013. A CBI spokesperson said a chargesheet has since been filed. Everest Global Metals is not a known Gupta company; BoB court documents listing all Gupta-related accounts held by the bank make no mention of Everest. Yet, much like Zuma’s house, the Guptas made the monthly interest payments on Everest’s BoB loan. Emails reveal BoB would send Everest a monthly statement on the loan, which Everest would forward to the Guptas. The money would then be wired from JIC — a Gupta company — to Everest, who would settle accounts with the BoB. This circular lending, three bankers interviewed by HT said, is a not uncommon, but illegal, practice to surreptitiously give new loans to a favoured client who already owes the bank too much money. On December 9, 2015, President Jacob Zuma fired his well-regarded finance minister Nhlanhla Nene. The move spooked investors and prompted intense speculation that Nene had been removed at the behest of the Guptas. The media outcry was so intense that even the normally placid BoB was moved to act. Included in the list was Sinqumo Trust, the entity used by the President’s wife to buy her house, and Mabengala Investments, the company used by Tony Gupta and Duduzane Zuma to pay for the house. “Banks must conduct extra scrutiny of PEP accounts as laundering risk is high,” said a retired official of the Reserve Bank of India, questioning why the bank didn’t flag the accounts as politically exposed earlier, when they knew the President’s family was involved. BoB opened eight fresh accounts for the Guptas from January to May 2016. Meanwhile, South Africa’s biggest banks severed their ties with the family citing money laundering concerns. A year would pass before BoB’s head of international banking would formally write to the Guptas to terminate their account on July 1, 2017. By then BoB had already concluded its most controversial deal, which would lead to an audit and penalty from South Africa’s Reserve Bank. Like the mortgage for Mrs Zuma’s house, the first question haunting the Guptas’ controversial purchase of the Optimum coal mine is why such a complex deal was structured by BoB’s tiny, understaffed office of 16 employees rather than its South African competitors with many thousand employees on their rolls. In 2015, Optimum Coal Holdings (OCH) — a subsidiary of global mining and commodity giant, Glencore – was bankrupt. 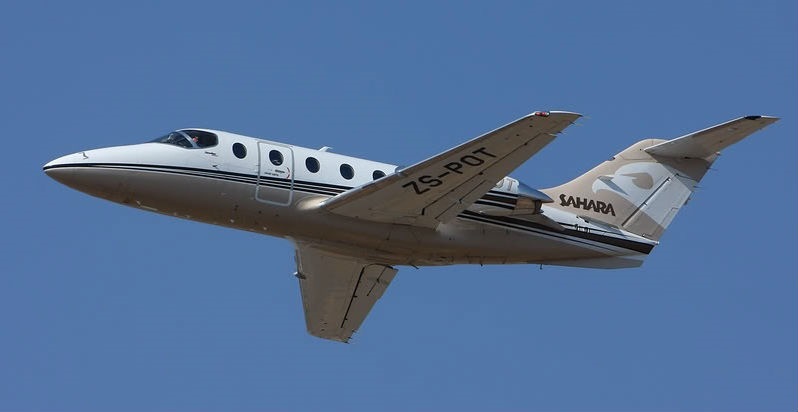 The company was saddled with millions of rand worth of debt, and a looming penalty from its principal customer, Eskom – South Africa’s state-run electricity utility. In September that year, the Guptas offered to buy the company. On December 10, 2015, Glencore agreed to sell for R2.15-billion. Bankruptcy resolution professional Piers Marsden said the deal was concluded on the understanding that the Guptas had the money to buy OCH. “We were given a letter of comfort from their bankers that they did have the funds available to conclude the transaction,” Marsden said in a sworn testimony to Parliament. But on April 11, 2016, 10 days after BoB’s letter of comfort expired, Nazeem Howa, a Gupta aide, approached Marsden to say the Guptas were R586-million short of the agreed price and asked if OCH’s lender consortium would finance the shortfall to ensure the deal went through. The consortium declined, but the Guptas mysteriously stumped up the cash in three days and bought Optimum. It later emerged that Eskom, the electricity utility, had given the Guptas the same amount of money – R586-million — as a pre-payment for future sales of coal. The Guptas used the money to conclude the sale. The revelation that South Africa’s state-owned electricity utility had part-financed a Gupta takeover of OCH resulted in a public scandal, and an investigation into the acquisition. In a parliamentary inquiry into the deal, South African lawmakers expressed bewilderment about the credibility of the BoB’s letter of comfort. “The Bank of Baroda says we’ve got 2.15 to pay over for the transaction, am I right?” asked Pravin Gordhan, a former finance minister who had clashed with the Guptas. When the Guptas bought OCH, they also became custodians of two mine-rehabilitation trusts called Optimum and Koornfontein, collectively worth R1.75-billion, that they deposited in BoB accounts. But the Guptas wanted to get at the money locked away in these trusts, so BoB found a way. BoB documents indicate that in June 2016, the bank used R170-million deposited in the Koornfontein Rehabilitation Trust as collateral to give the Guptas a R150-million loan. “If indeed the mine used the Rehab Trust fund as collateral for a business or bank loan, and the mine went into liquidation or bankruptcy, then the bank would attach the rehab fund,” said Stephanie Fick, head of legal affairs for Organisation Undoing Tax Abuse, a South African NGO. “If indeed the BoB were ignorant of the prevailing laws I imagine this would be of great concern to amongst others the shareholders of BoB,” Fick said. In BoB’s case, the SARB found that the bank’s Financial Crime Risk Manager (FCRM) system, software that automatically flags suspicious transactions, was incorrectly configured. BoB’s FCRM, the audit noted, was run out of a data-centre in India, suggesting the BoB might be struggling to adequately monitor transactions in India as well. Auditors also found that BoB had not “applied sufficient scrutiny/ care while processing transactions involving loans and fund transfers among entities within the same group” – which accounted for a lion’s share of the bank’s business with the Guptas. The SARB’s findings were backed up by BoB’s own auditors in the South Africa branch’s 2017 annual report. Keeping Gupta accounts open, Jha continued, was not feasible as any compliance slip-ups in the future would have prohibitive consequences for the bank’s operations. The SARB could impose a fresh penalty, Jha said, prompting investigations by every regulator the 26 countries where BoB operates.